The Grounds and gardens at Castle Howard have always impressed visitors with their splendour and variety. The Grounds and landscape garden at Castle Howard are constantly changing, with spring bulbs, daffodils, roses, herbaceous borders, and rhododendrons providing a spectacle of colour change throughout the year. In the Boar Garden, two and a half tonnes of daffodils and 10,000 small spring bulbs were planted to provide a variety of colour for early March for the first visitors of the season, including crocus, snowdrops and tulips. Castle Howard is one of Britain's top ten Stately Homes. 2019 - Castle Howard - House opens 30 March - See website for details. The grounds open most of year. Gardens may occasionally close for essential maintenance during late January/early February. Plant Centre and Stable Courtyard Gift Shops & Cafeterias. Disabled access. If you want to find places to stay near Castle Howard, why not stay in one of our recommended hotels. Each hotel has genuine guest reviews enabling you to book from anywhere in the world in total confidence. 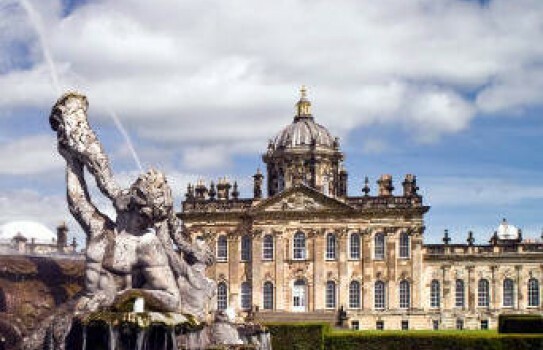 Look now for Castle Howard Hotels - click here.